The tourist brochures will tell you that “amazing” Thailand is a tropical lush heaven, the land of smiles, filled with friendly people, inexpensive, and fun. It is actually all true. But, there is a darker side also. Nothing could be that perfect. The north of Thailand is a beautiful region- nine months out of the year. But three months out of the year, specifically during the hot and dry season in February, March and April, the entire area is often covered by a nasty layer of pollution. It is mostly caused by agricultural burning which is a cheap and efficient method of clearing the land, but it also makes your eyes burn, prevents airplanes from landing, and sends thousands of people to the hospitals for respiratory issues. The problem only goes away when the rainy season starts around May or June. From then on the air is much cleaner and northern Thailand again turns into one of the most beautiful and scenic areas of the country. There are some escape routes luckily. One is a trip to the many beautiful islands in the south during those three months where the air is fresh and clean. 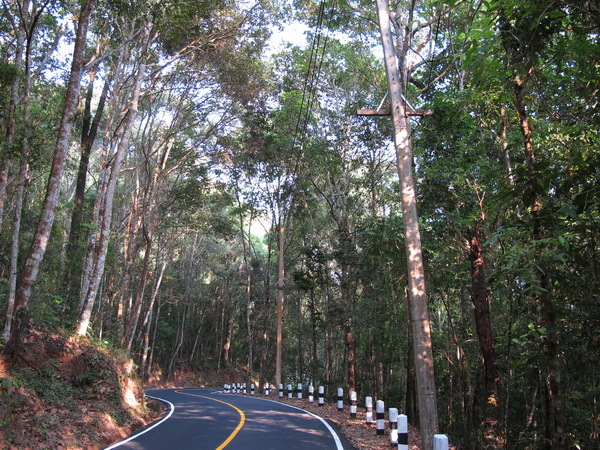 The second, admittedly short term solution, is to drive up Doi Suthep mountain near my hometown of Chiang Mai until you get above the pollution layer and reach beautiful pine forests, waterfalls, pretty villages and even one of the king’s palaces. Cruising up the mountain on a motorcycle is one of my favorite excursions. The ride up the mountain is very scenic and temperatures drops mercifully. 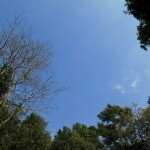 When I pointed my camera up at the sky, it was a beautiful blue. 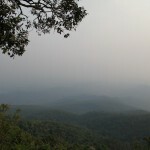 But when I pointed my camera down toward the valley of Chiang Mai, the city was hidden in an ugly layer of pollution. What’s the army doing in the forest? 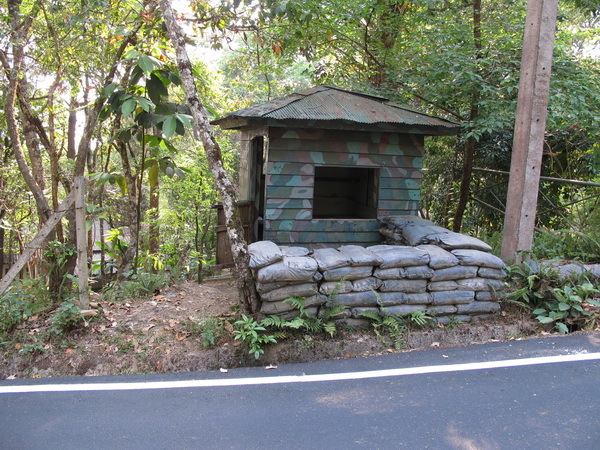 But what is this defensive military position doing in the the middle of the forest? 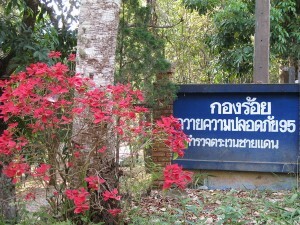 The reason is that the king of Thailand has one of his palaces on the mountain. When he or his family members come to visit, the mountain is swarming with soldiers and security levels are extremely high. When the king is not there, the palace grounds are open for visitors. The trip up the mountain takes less than half an hour from the city of Chiang Mai. 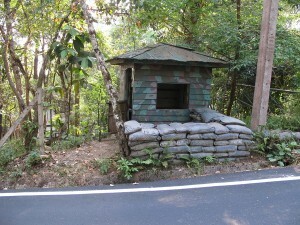 Along the way there is a national park, waterfalls, viewpoints, Chiang Mai’s most famous temple, the kings palace, quaint hill tribe villages, and a trail to the highest point of the mountain. 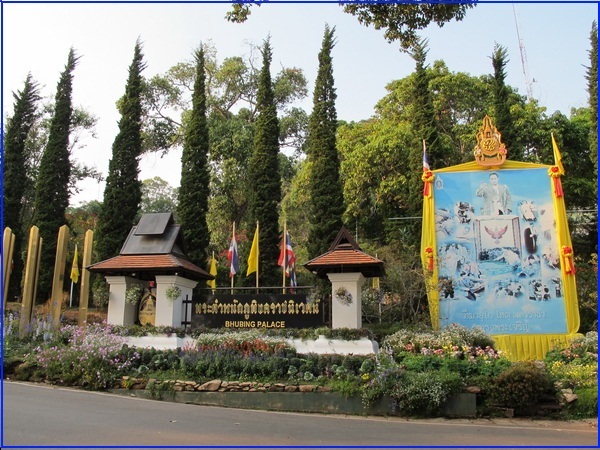 Doi Suthep mountain is a great escape from heat and pollution during the dry season.